Hi guys! I hope you're all enjoying your Friday and looking forward to the weekend ahead, YAY! My nanna is staying with me this weekend so I'm very much looking forward to spending some quality time with her. Also, before I get into this post, I'd just like to do a quick plea that if you don't already, please follow me on Bloglovin' here. I'm sure you're all aware by now that Google is having a 'Spring Clean' in the next few months and Google Reader will be gone as of July 1st. I'm not sure where this leaves GFC but just to be on the safe side, I'd advice everyone to set up a Bloglovin account. Its better to be safe rather than sorry right? Its actually my favourite place to read blogs anyway, I love that you can follow different types of websites over there and not just Blogger blogs. Its also great that you can sign up for an account even if you're not a blogger yourself so if you read my posts regularly but don't own your own blog, you can still sign up and follow me over there, yay! 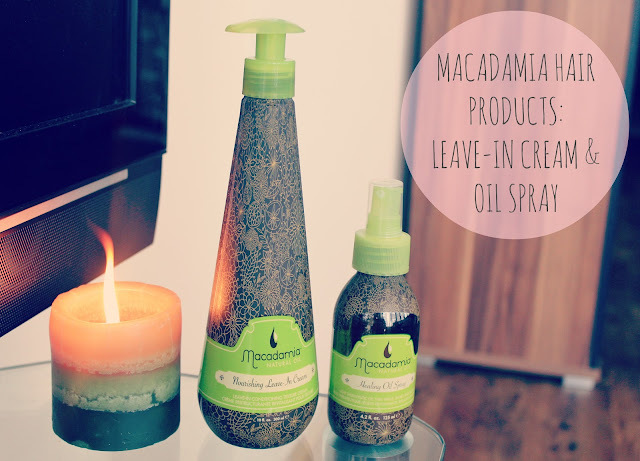 Anyway, ramble over and back to the main focus of this post - Macadamia Natural Oil hair products. Okay, let me start by saying, just look at the size of that bottle. Its HUGE! I adore everything about the way this product is packaged and of the two I was sent, this has been the stand out product. Its essentially a leave-in conditioner that you apply to hair when wet and leave to work its magic. I've been using this each time I wash my hair (around three times a week on average) and each time I use it, my hair is ridiculously soft. I can definitely tell that this is working straight away as my hair is more manageable, easier to brush, tangle free and most importantly, soft. I've also noticed drying time is dramatically reduced when I use this, I have no idea why but it somehow helps my hair to dry quicker? Just to top it off, this stuff smells incredible. You know when you go to the salon and you leave with beautiful smelling hair? Well this is exactly what this makes my hair smell like, just like I've come straight from the salon. This product is a little harder for me to review as I haven't noticed a massive difference whilst using it to be honest. I'm not sure if its because of the spray formula but it certainly doesn't nourish my hair as much as standard oil or the leave-in cream. I think the reason I'm a little disappointed with this product is because I was expecting it to have a similiar effect to my Moroccan Oil and leave my hair super soft and whilst it did leave it soft and shiny, I didn't feel it nourished my hair quite as well as moroccan oil. When I first received it I loved the idea of a spray oil as I figured it would be much more convenient to use instead of slathering a sticky oil through the plam of my hands and whilst this is true, the effects of a standard oil are much more beneficial on my dry hair. I've come to realise that the impact a standard oil can give the hair is much greater than a spary as sprays are obviously much finer. Don't get me wrong, I don't hate this product, it just wasn't as amazing as I expected or effective enough on my thick hair. However, if you have fine hair, I think this would work perfectly for you as its very light-weight and leaves no greasy residue. Overall I'd definitely recommend the macadamia hair range as I do think the leave-in cream is a beautiful product and although I was slightly disappointed with the spray, its still a nice product and one I will continue to use from time to time until it runs out. I'd 100% repurchase the leave-in cream and would definitely try the pure Macadamia Healing Oil Treatment as apposed to the spray version as I image that would be much more effective on my hair type. I really want to try the Deep Repair hair masque too as I've heard great things about it. The only downside about these products is their price tag but as they will last a long time, I'd say its a price I'm willing to pay. They're available to buy here on the Macadamia website. 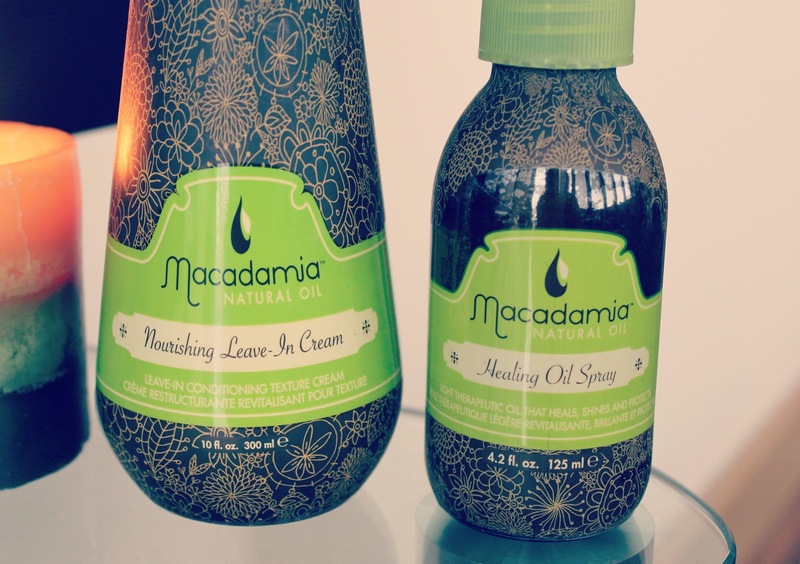 Have you tried any Macadamia products? What do you think? I just bought it for half the price on Amazon for £9.50 including delivery :D you should try there if you are wanting it. I love Macadamia products! The Deep Repair Masque works wonders to my hair! I want to try the Nourishing Leave-In Cream; it's sounds amazing! Great review! The packaging of these is really pretty, the leave-in cream sounds great and the bottle is huuuuge! I really want to try some oils in my hair as everyone is raving about their effects at the minute. Seriously, I think you write excellent reviews! I'm not much of a fan of hair oils - the one you have to rub in your hair once it has been washed, but I love a coconut hair mask! You only need to take coconut oil and rub in on (preferably) the ends of your hair and leave it in there for as long as possible (some people sleep with it but yuk I could never do that!!). Coconut oil seems to be the only oil that really sinks into your hair :) I love it but I'd also like to try out these products! I see them a lot on blogs like yours and now I'm really curious to try them myself! I have yet to get into the oils as i get scared I'll get greasy hair! Might have to give these a go though! For me I like the macadamia oil spray when my hair gets dry in between washings I find that when I spray this in my hair it brings back life into my hair. Great review! Wow! This stuff sounds incredible! I've seen it around but never really looked into it. Great find and awesome review! i never tried them but they sound really good! I really want to try that leave in cream, I've been looking for some new hair products to try and that sounds really good! I think I might have to try the leave in cream, I have been using the deep repair mask for a couple of weeks now and love it. 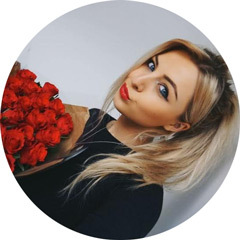 Your posts are always so helpful :) love your blog! i was sent the actual oil, not the oil spray and a brush and their oil is amazing so definitely give that a go instead of the spray. and you're right about the drying time, it does reduce it. they say by about 40%. i've just popped some of the leave in cream in my basket so i hope i love it just as much.